While modern medicine produces miracles, it also delivers care that is too often unsafe, unreliable, unsatisfying, and impossibly expensive. For the past few decades, technology has been touted as the cure for all of healthcare's ills. But medicine stubbornly resisted computerization - until now. Over the past five years, thanks largely to billions of dollars in federal incentives, health care has finally gone digital. Packs a punch, be prepared! In The Patient Will See You Now, Eric Topol, one of the nation's top physicians, examines what he calls medicine's "Gutenberg moment". Much as the printing press liberated knowledge from the control of an elite class, new technology is poised to democratize medicine. In this new era, patients will control their data and be emancipated from a paternalistic medical regime in which "the doctor knows best." Mobile phones, apps, and attachments will literally put the lab and the ICU in our pockets. Computers will replace physicians for many diagnostic tasks, and enormous data sets will give us new means to attack conditions that have long been incurable. In spite of these benefits, the path forward will be complicated; some in the medical establishment will resist these changes, and digitized medicine will raise serious issues surrounding privacy. Nevertheless, the result - better, cheaper, and more humane health care for all - will be worth it. Could have been summarised in 5 mins. I did not find it as informative as I had hoped. Just my opinion. I loved the book, it was very well written and read. 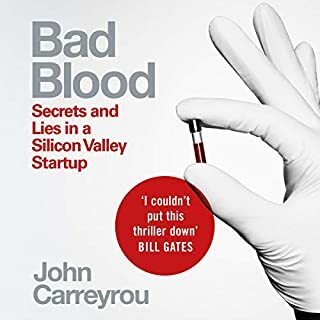 Not all the points adressed in the book may develop as they are written here but it is certainly an interessting review of where healthcare is heading. 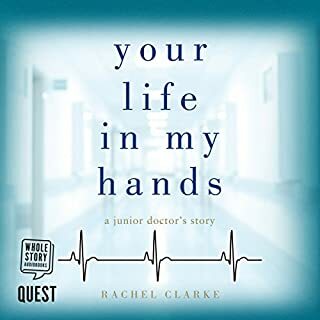 As a medical school hopeful I regard this as one of the most inspiring books I've ever read/listened to. I began as a sceptic but am now convinced that democratized medicine is inevitable and worthwhile. 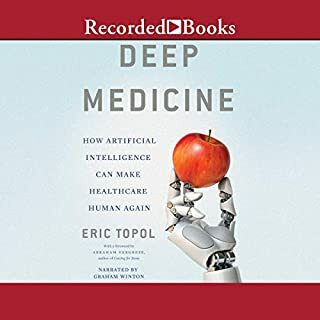 Eric Topol presents a very optimistic vision of the application of new technologies, especially digital, to making each of us the person primarily responsible for our own healthcare; the physician's role will be reduced. He focuses on the concept that each of us will have personal ownership of our personal medical data. The keys according to Topol include wide use of smartphones with apps and special sensors to measure a wide variety of medically relevant conditions including blood tests, a huge and very secure cloud to store our data, and super computers to analyze population and individual gnome data. He covers a wide range of other topics including the reduces use of hospitals. His summary is a move from autocratic to democratic medicine (bottom up rather than top down medicine). I am impressed by the scope and vision of the book, but am concerned about the role of government. In two cases he is critical of the FDA approval process, but overall he is, I believe incorrectly, in favor of more legislation and more government involvement in healthcare markets. 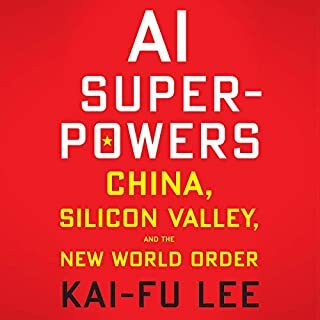 Nevertheless, despite his inappropriate leaning toward socialization, the information and forward leaning view in the book make it worthy of a five star rating. Bold, innovative, and foward thinking! If you could sum up The Patient Will See You Now in three words, what would they be? 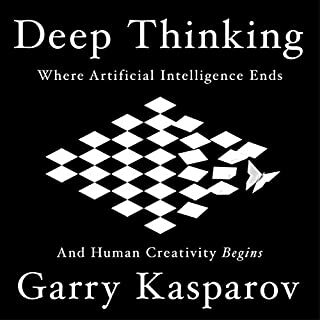 Extremely insightful book! Dr Topol does a great job of illustrating the potential future of patient/doctor relationships. He uses many concrete example of different projects and products that are already making this change happen. As is inferred by the title “The Patient Will See You Now”, Doctor Eric Topol foresees a substantive change in doctor/patient relationship in America. The change is partly foreseen as a consequence of technology but more fundamentally the change is a realization that doctors are service providers; not oracles or patriarchs. 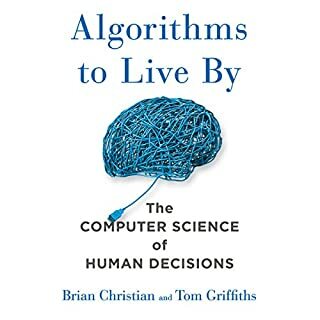 Topol arrives at his conclusions about doctor/patient relationship by identifying technological potential of computerized medical records, data base availability, and algorithmic medical diagnosis. Judging from other doctors like Don Berwick, Barry Bittman, Thomas Goetz, and Atul Gawande, Topol is on to something. Experiences American patients have with doctors are recounted in Topol’s book. One sees themselves in some of Topol's anecdotes. Doctors are not gods. They are human. They make mistakes. What Topol explains is that mistakes can be reduced with patient involvement in diagnosis and treatment. Technology is handmaiden to improvement in human health. There are risks and rewards in technological change. The risks are loss of jobs, and diminished self-worth in the short run; in the long run, there is potential for genetic Armageddon from experimentation. The rewards are more leisure time, and improved health in the short run; in the long run, there is greater potential for human survival from genetic modification. 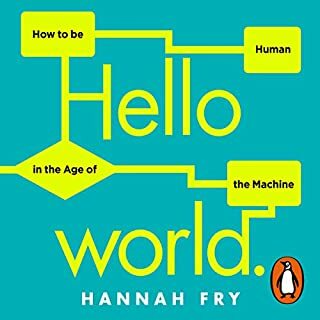 Extensive record keeping and algorithmic computerization of human beings threaten the excesses of “1984” but, on the other hand, broadly available information offers opportunity for improvement of the human condition. At times, Topol seems too optimistic; at other times, too pessimistic. Nonetheless, Topol offers something to think about. Terrific overview of how technology available today, coupled with a mindset shift in clinician thinking, can go a long way towards improving health care for all. Eric appears to be a socialist so you'll view the advances that we have the opportunity to embrace through that lens. 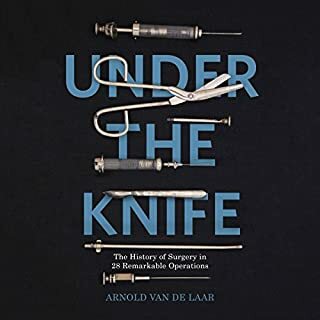 But the information is spectacular and his vision of the future for medicine is exciting even if I see its implementation from a radically different libertarian perspective. The Doctor is no Longer Needed. Really? What disappointed you about The Patient Will See You Now? 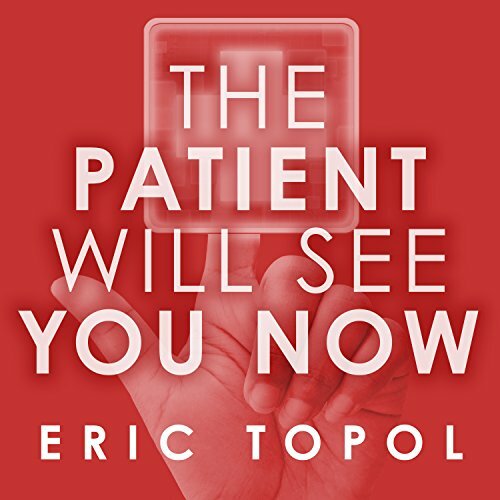 As a practicing Family Practice Physician for over two decades, I have lived through our conversion from paper to digital charting, worked in both academic and HMO settings, and have experienced first-hand many of the topics Eric Topol addresses in "The Patient Will See You Now," and I would not recommend this book. Dr. Topol is like Tesla driver who is so trusting and enamored with his high tech toy that he doesn't realize his GPS has just driven him off a cliff. Sad, tragic even, as I know he is trying to usher in the new age of technology, but in so doing he has lost sight of the real people, both physicians and patients, who need to be able to use the tools he's suggesting without getting hurt. 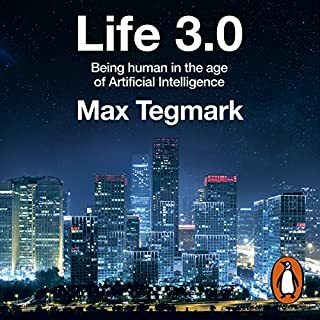 In this book, he implies that we will no longer need hospitals because people will be able to be managed at home with high-tech homes. Really? He promotes the 2005 five Rand study that was funded by the self-same tech companies who ended up profiting from it when the government used it to justify our conversion to EMR’s that have turned me into a data-entry clerk. If you're a tech junkie with a good head of smoke, you'll love Dr. Topol. If you’re a living breathing physician or patient, I would steer clear of the fantasy world he's trying to paint and use your hard earned cash to buy a different book. 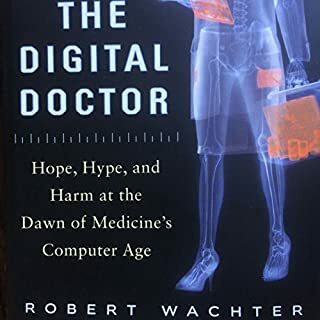 Try "The Digital Doctor" by Robert Wachter or "An American Sickness" by Elisabeth Rosenthal. These are hard-hitting books that are relevant and unbiased. I would recommend either An American Sickness or The Digital Doctor instead of this book. The narrator did a fine job. The material he had to work with was questionable. If you could play editor, what scene or scenes would you have cut from The Patient Will See You Now? 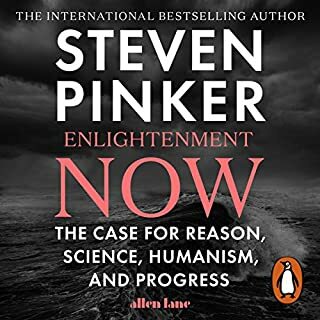 Despite being well researched, this book is full of bias and completely unhinged from reality. Dr. Topol implied in an interview with The Wall Street Journal March 2018 that the reason doctors resist technology is because we can't bill for it. Recent large-scale surveys have shown that physicians want time not money. We want to talk to our patients not review their data. 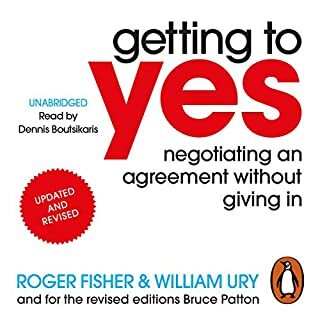 We have devoted our lives to helping our patients, to serving our communities, and to make a difference and to suggest that the reason we don't want to play with Dr. Topol's cellphone toys is because we can't make a profit from it is a perfect example of the loftier-than-thou attitude you'll find throughout this book. Future of Medicine--Clear, Concise, Mind Blowing! 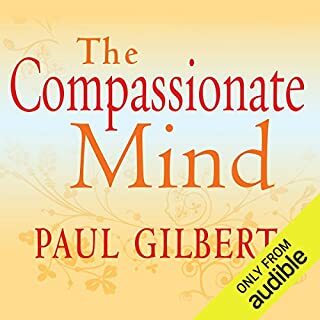 Listen to this audiobook if you are wondering how the field of medicine in this country could be in the near future. Eric Topol, MD, certainly has the experience and credentials to make very valid predictions. Check out his Wiki if you don't believe me. 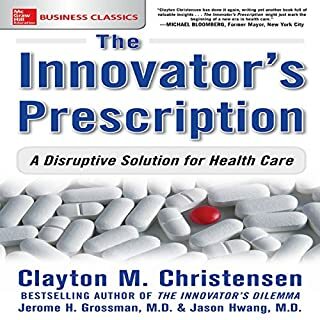 A few of the many surprising things he predicts are diagnosis, testing, and ongoing monitoring by use of Smart Phones, hospitals with no beds with homes being medically equipped instead, no need for doctor's office visits, good medical care for all socioeconomic groups (what a concept), and individualized medical care. This would include more patient input on their own medical care and choices of treatment by making all medical info available to the individual, such as test results and doctor notes. This is a very brief summary that I have included above. There is so more I haven't mentioned. All of it fascinating! Topoll's predictions are mind-blowing and something for us to look forward to and hope for, while fully acknowledging the medical profession's conservative stance and unwillingness toward change. 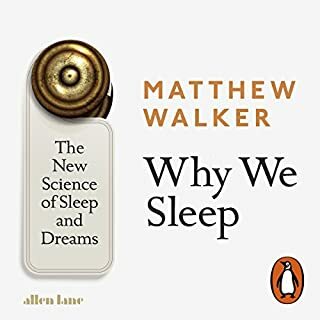 This is an important book and a great listen. 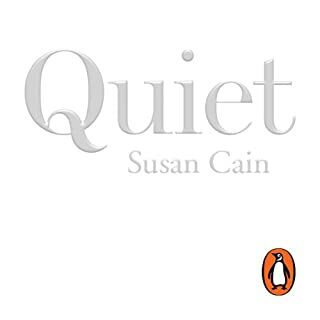 It moves quickly and easily with a fine narration. Highly recommended. Would you listen to The Patient Will See You Now again? Why? I will. 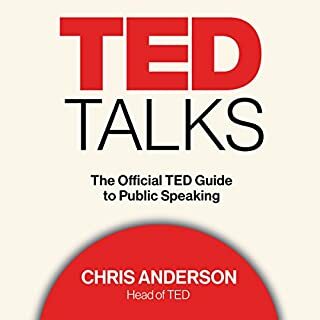 Will use it as a textbook for my lecture. What was one of the most memorable moments of The Patient Will See You Now? 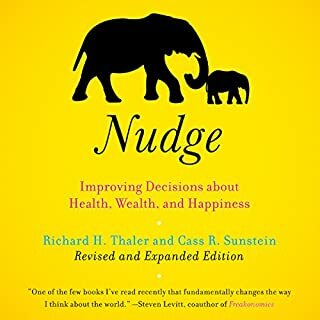 Great and balanced insights for both doctors and patients.